What does Fall mean to you? To me it means pumpkins, pumpkin seeds, baked butternut squash, slow cooked stews, chili's, soups, and, of course, apples. Applesauce, Apple Pie, Apple Muffins, Apple Jelly, Apple Butter and, of course, Apple Crisp. 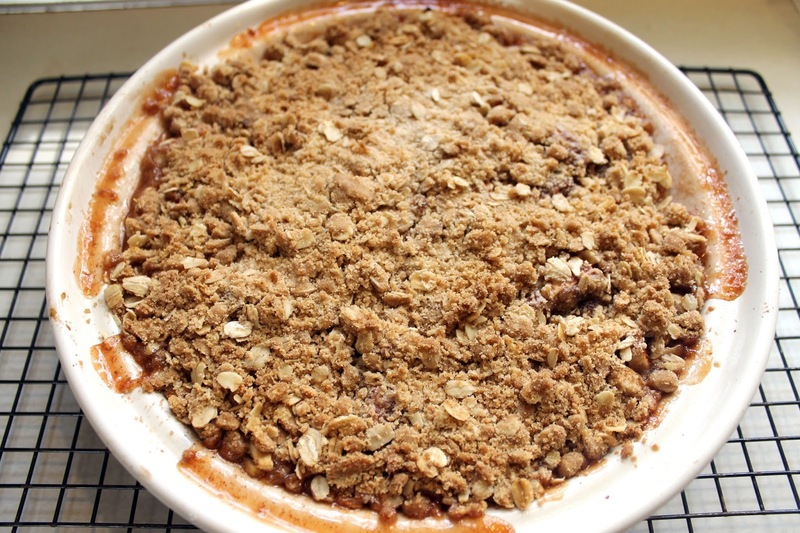 There's just something about warm apple crisp, served with vanilla ice-cream, heavy cream or whipped cream, that brings a big smile to my face, and a whole lotta' yumminess to my tummy! How do you like apple crisp? Preheat oven to 350 F. Place the sliced apples in a 13 x 9-inch pan sprayed lightly with cooking spray. 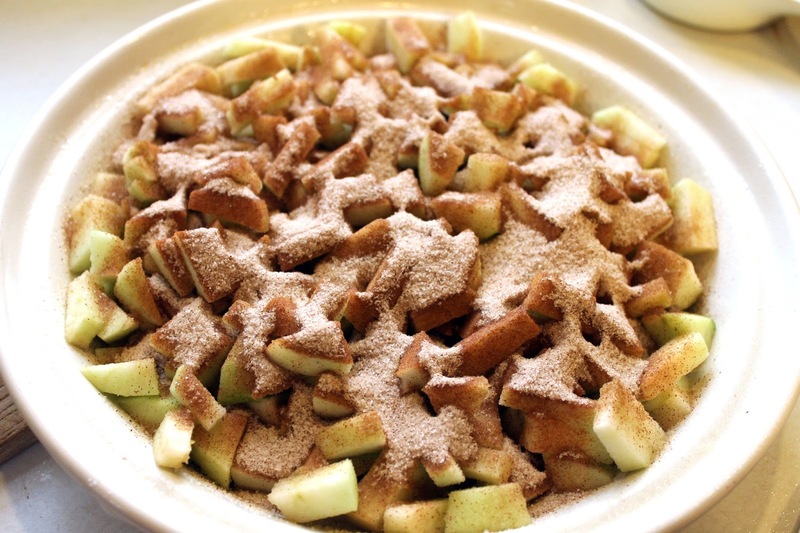 Mix the white sugar, 1 tablespoon flour and ground cinnamon together, and sprinkle over apples. Pour water evenly over all. 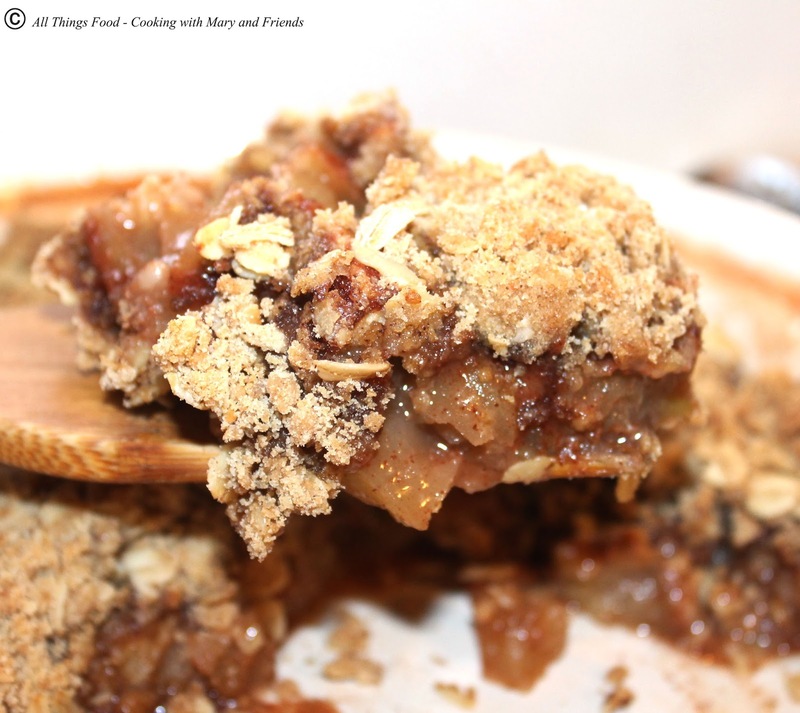 In a separate bowl, combine the oats, flour, brown sugar, baking powder, baking soda, cinnamon (if desired), and melted butter together. Crumble evenly over the apple mixture. 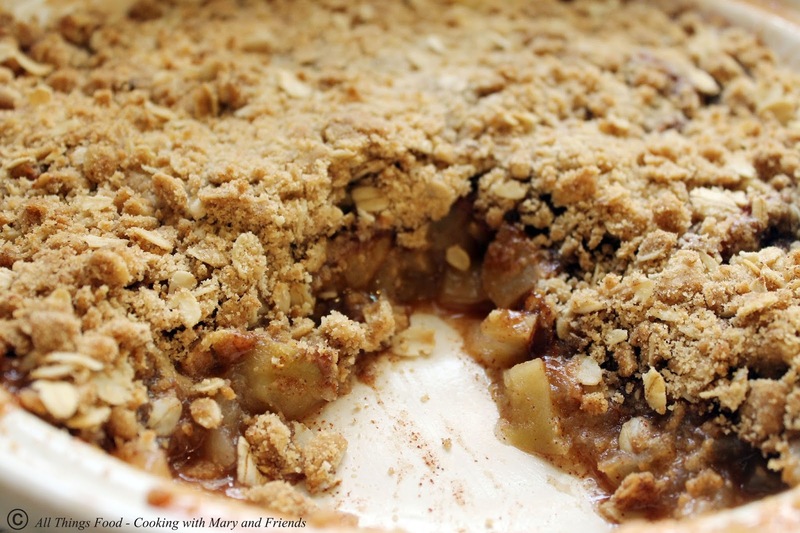 Bake at 350 degrees for about 45 minutes or until topping is crispy and apples are bubbly. Cook's note - recipe is easily cut in 1/2 for 9 x 9-inch baking dish.